Marcus Laurence Elwin Oliphant (1901-2000) was an Australian physicist who helped push the United States to create an atomic bomb program. Born in Adelaide, South Australia to a civil servant father and schoolteacher mother, he was the oldest of five boys. Oliphant realized from an early age that he was short-sighted but he did not realize that he was deaf in his left ear until he attended the Goodwill School. He was active in his church, where he sang in the choir and served as an altar boy and then as an altar server until he went to college. Oliphant attended Adelaide University, where in 1925 he attended a lecture by Ernest Rutherford. Inspired, Oliphant applied to the University of Cambridge’s Cavendish Laboratory in 1927. There, he worked under Rutherford on heavy hydrogen reactions. He was elected as a Fellow of the Royal Society in 1937. The Australian scientist eventually left Cavendish Laboratory to become the Poynting Chair of Physics at the University of Birmingham. There, he worked with James R. Randall and H.A.H. Boot and created the cavity magnetron, which allowed for ground and airborne radar. Oliphant also hired German scientist Otto Frisch as an auxiliary lecturer at the university. During his time at the University of Birmingham, Frisch worked with Rudolf Peierls, another German scientist, to calculate the feasibility of a uranium-235 bomb. In 1940, Frisch and Peierls wrote a memorandum that galvanized Oliphant to act. Oliphant took their findings to the Defense Council, which sets the standards for UK defense conduct, in Whitehall to argue for the possibility of building an atomic bomb. A special committee of the top nuclear physicists in Britain, the MAUD Committee, was formed. In 1941, the MAUD Committee estimated that a critical mass of ten kilograms would be large enough to produce an enormous explosion. Oliphant sent the MAUD Committee's report to the U.S. Uranium Committee around March 1941, but the Americans took no action. In August 1941, Oliphant flew to the United States to find out why the British findings were ignored. He was dismayed that the “inarticulate and unimpressive” head of the American Uranium Committee, Lyman Briggs, “had put the reports in his safe and had not shown them to members of his committee." After his meeting with the Uranium Committee, Oliphant visited Ernest Lawrence, James Conant, and Enrico Fermi to explain the urgency of the situation. Oliphant's message eventually made its way to Office of Scientific Research and Development (OSRD) director Vannevar Bush. The Uranium Committee would become the S-1 Project of the OSRD, and ultimately the Manhattan Project. Immediately after the war, the physicist became an advisor to the UN Atomic Energy Commission. In 1950, Oliphant became first director of the Research School of Physical Science, where he hoped to build the world’s most powerful accelerator. 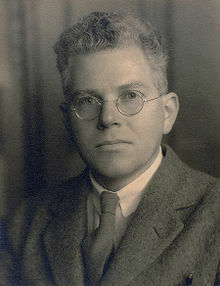 He also founded the Australian Academy of Sciences with Dr. D. Martyn and acted as president from 1954-1957. In 1959, he became a Knight of the British Empire and a Companion of the Order of Australia in 1977. In 1971, he was appointed as governor of South Australia. During his appointment, he advocated for conservation and against drunk drivers, racism, and violence. He retired in 1976. However, the bombings of Hiroshima and Nagasaki “left Oliphant with a burden of guilt that ever after affected his public life and work.” He became highly critical of nuclear weapons, promoted international nuclear weapons control and joined the Pugwash Movement. When France began nuclear testing in 1960, he stated that Paris “is like a bandit with a sawn-off shotgun holding the rest of the world to ransom.” At the same time, however, he saw nuclear technology’s potential for peaceful uses and advocated for nuclear energy. “Larson Collection interview with Mark Oliphant.” IEEE Robotics & Automation Society. August 31, 2018. http://sites.ieee.org/sb-iieeras/2018/08/31/larson-collection-interview-with-mark-oliphant/. Oliphant, Mark. Australian Biography. By Robin Hughes. January 20, 1992. http://www.australianbiography.gov.au/subjects/oliphant/intertext1.html. “Professor Sir Mark Oliphant.” Telegraph. July 18, 2000. https://www.telegraph.co.uk/news/obituaries/1349058/Professor-Sir-Mark-Oliphant.html. Rhodes, Richard. The Making of the Atomic Bomb. New York. Simon & Schuster, Inc. 1989. Tucker, Anthony. “Sir Mark Oliphant.” The Guardian. July 17, 2000. https://www.theguardian.com/news/2000/jul/18/guardianobituaries. U.S. Department of Energy--Office of History and Heritage Resources. “The MAUD Report.” The Manhattan Project: an interactive history. https://www.osti.gov/opennet/manhattan-project-history/Events/1939-1942/maud.htm. Mark Oliphant, interviewed by Robin Hughes, Australian Biography, January 20, 1992, http://www.australianbiography.gov.au/subjects/oliphant/intertext1.html. Mark Oliphant, interviewed by Robin Hughes. “Professor Sir Mark Oliphant,” Telegraph, July 18, 2000, https://www.telegraph.co.uk/news/obituaries/1349058/Professor-Sir-Mark-Oliphant.html. Richard Rhodes, Making of the Atomic Bomb (New York: Simon & Schuster, Inc., 1986), 319 and 351. Anthony Tucker, “Sir Mark Oliphant,” The Guardian, July 17, 2000, https://www.theguardian.com/news/2000/jul/18/guardianobituaries. U.S. Department of Energy--Office of History and Heritage Resources, “The MAUD Report,” The Manhattan Project: an interactive history, https://www.osti.gov/opennet/manhattan-project-history/Events/1939-1942/maud.htm. “Larson Collection interview with Mark Oliphant,” IEEE Robotics & Automation Society, August 31, 2018, http://sites.ieee.org/sb-iieeras/2018/08/31/larson-collection-interview-with-mark-oliphant/. “Professor Sir Mark Oliphant,” Telegraph. 1901 Oct 8th Born in Adelaide, South Australia. 1922 Received a B.S. in Physics from the University of Adelaide. 1929 Dec Received Ph.D. in Physics from Cambridge University.